Everyone knows one of those people that are often grumpy. Maybe it’s their go-to mood, maybe they’re just ‘hangry’ (which is my specialty, to be honest), or they might not have had their morning coffee yet. Anyhow; cheerfulness is nowhere to be found around them. 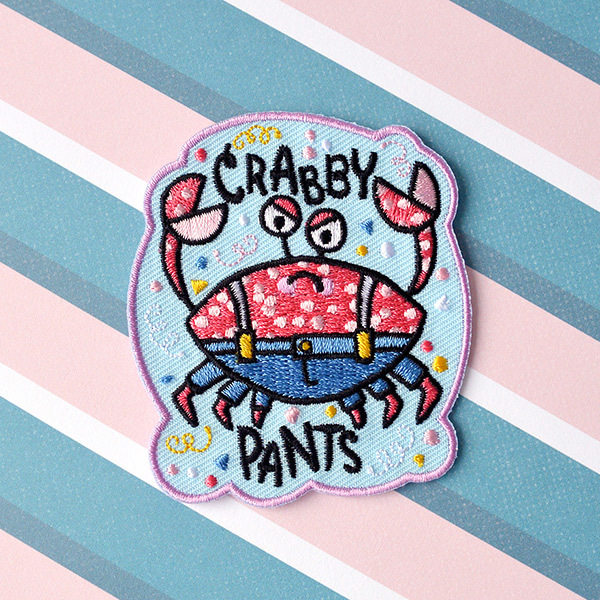 For those people in particular, I designed this ultimate pity party patch: Mr. Crabby pants! This patch is secretly inspired by my husband, who can and will not take on the world cheerfully without his morning coffee. Inspiration sometimes comes from the weirdest places, right?! 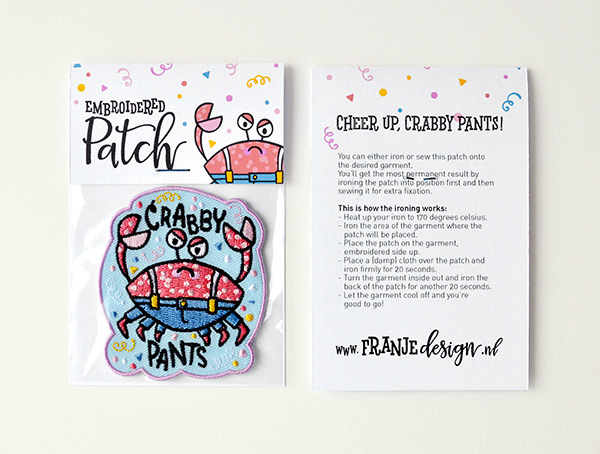 This embroidered patch measures about 7.2 centimeters in height (about 2.8 inches) and about 6.3 centimeters in width (about 2.4 inches). What are you waiting for? 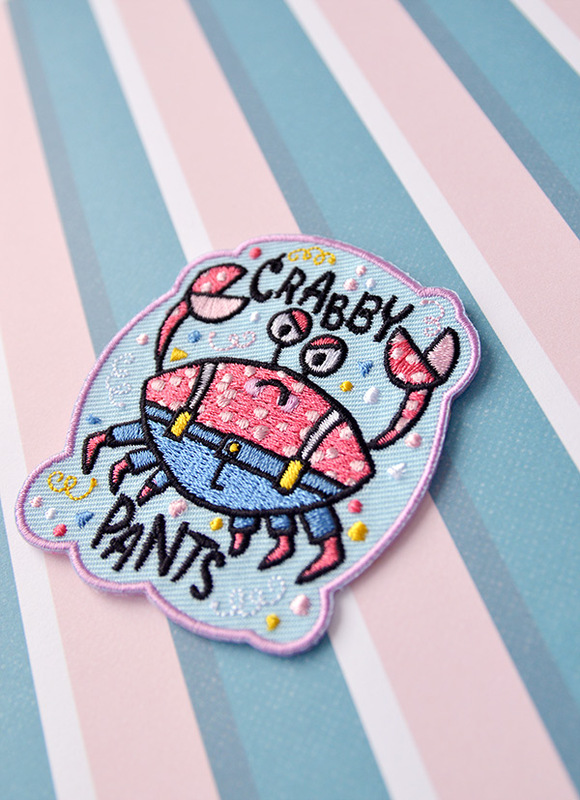 Grab your Crabby Pants patch in my Etsy shop.